Lincoln Continental is a model name for a luxury car marketed by the Lincoln division of Ford Motor Company. Lincoln, one one the most beautiful nameplates of the mid-20th century, has fought hard to stay in the automotive industry. For almost 50 years, from 1939 to 2002 (barring World War II and 1981), the Continental has been synonymous with luxury and class. The name carried its own distinction, as the vehicle or royalty. 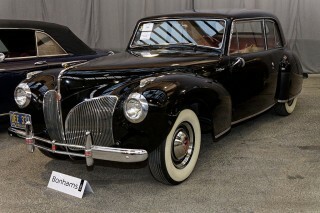 The first Continental was a one-off vehicle, developed for Henry Ford’s son, Edsel Ford. The first-generation Lincoln Continental was largely based on Edsel’s person vehicle. For the 1942 model year, all Lincoln models were given squared-up fenders, and a revised grille. The result was a boxy, heavy looking Continental that kept with the then-current design trend. The Continental’s silhouette became a familiar one ever since. Though the Continental has undergone many design changes, the body design is one that continues to scream out in all its future avatars. The fourth generation of Lincoln models (1961-69) underwent a dramatic design change. The older Capri, Premier and Continental Mark Series were replaced by a single Lincoln Continental four-door sedan and convertible. The 80s saw a shift again, moving from a full-size Continental to a mid-size sedan. The decision to do this was to bring out more fuel-efficient cars. Adapting the Ford Taurus platform, the Continental reached a wider audience with a more affordable vehicle until 2002. After the 2002 model year, in an effort to simplify its model lineup, Lincoln discontinued the Continental and its role was largely taken over by the Lincoln LS and the later Lincoln MKS. Last year at the New York International Auto Show, Lincoln generated a lot of buzz by reintroducing the Continental Concept as a replacement of the MKS which was cancelled. 14 years later, the Continental comes back, with an all-new look at the ongoing Detroit Auto Show. The new Continental comes with a souped-up surface and plush interiors that include Gershwin-inspired “Rhapsody Blue” seats. The new signature grilles on the front end of the Continental shows off some gleam and reminds one of the Bentley, which isn’t necessarily a bad thing. The interiors of the Continental is where the magic is. It’s a comfortable place to be in with soft leather, aluminum and real wood trims. 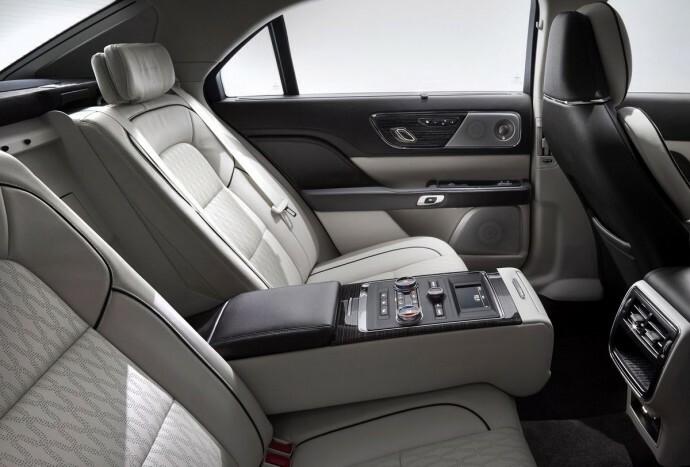 The insides of the Continental is luxury and comfort that quietly lulls you. Lincoln achieves this by using acoustically laminated glass and active noise reduction. When you feel like actually driving the Continental instead of relaxing in it, the 3.0-liter twin-turbocharged V6 with 400 horsepower and 400 pound-feet of torque will give you a pretty comfortable drive to your destination. The Lincoln Continental comes with some added tech that includes pre-collision braking, pedestrian detection, and a 360-degree camera system. Front passengers can enjoy 30-way power seats that adjusts to a number of sitting postures for maximum comfort. The Lincoln flagship sedan will be produced in Michigan and will be made available to the public this fall. Indeed, it will be a pleasure to see the Continental hit the streets once again. The luxury sedan has been missed and we’re glad it’s back.